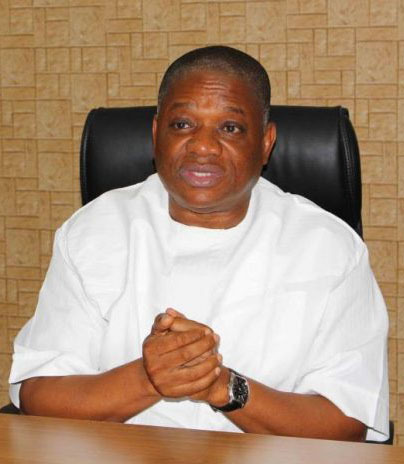 Pillar of Sports in Africa and former Governor of Abia State, Dr. Orji Kalu has urged Nigerians not to crucify the Super Eagles’ team for their loss to Argentina on Tuesday. According to the sports enthusiast, Super Eagles’ coach, Gernot Rohr could have ensured the national team maintained a strong defence after the first goal in favour of Super Eagles. Kalu, while calling on football stakeholders not to lose hope in the national team, charged the Super Eagles players to continue to put in their best in their football pursuits. Speaking in Abuja, with a group of sports journalists, the former governor charged government, to invest in sports at all levels, and stressing that football is an enviable profession. He said, “the last outing of Super Eagles against Argentina was painful and devastating, considering the inability of our national team to defend their territory when the score was 1-1 and ultimately 2-1 against Nigeria 87 minutes into the game. “Nevertheless, we should appreciate and celebrate the national team for their efforts.